This visit is a chance to meet, for us to see the space and to talk about your ideas and budget for your garden. From these we can develop a design brief and from there a design concept, which will act as a discussion document and a guideline for the way the design develops. It will also enable us to quote for the design work involved. The next stage is to get detailed measurements of the site in order to make drawings accurate. This will be done either my our team or by an outside company depending on the size of the site. 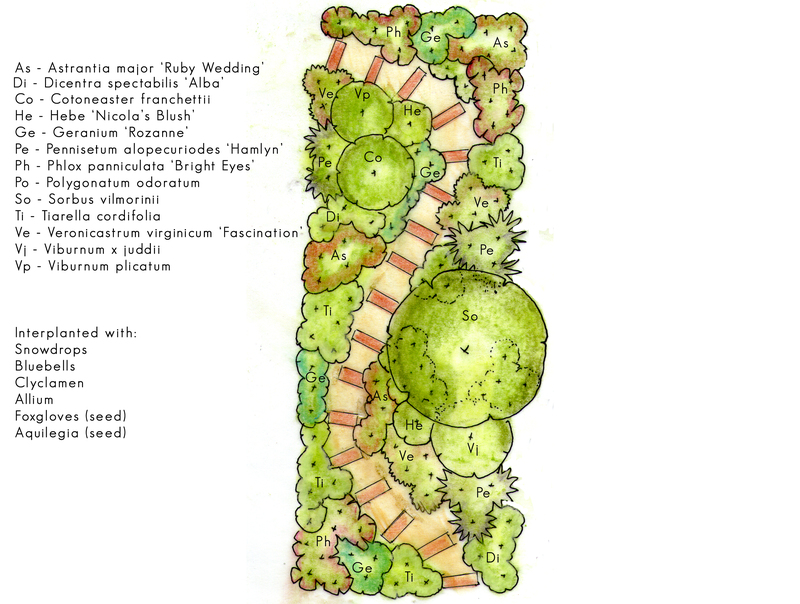 Outline proposal: an accurate, colour, scaled drawing including information about materials used and detailing the design of the garden. 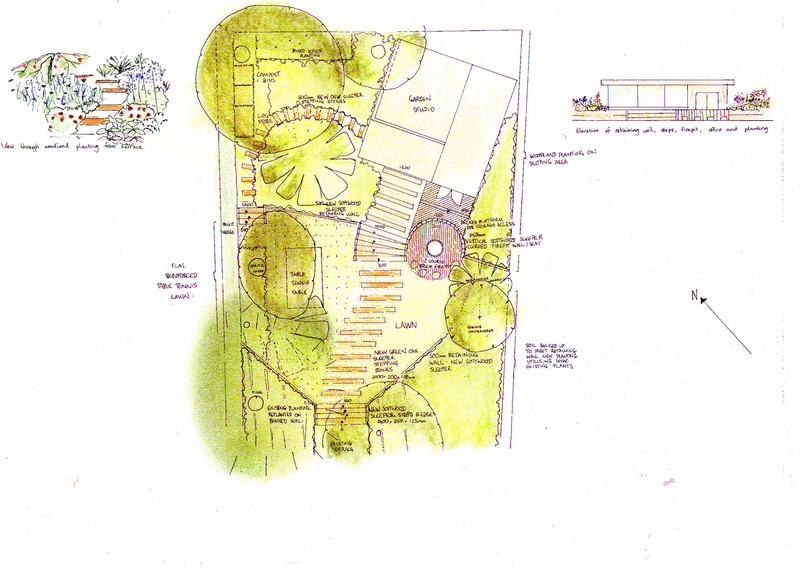 Includes elevation and perspective drawing of areas of the garden and moodboard to give you a clear idea of the design. The combination of the plan, moodboard and extra drawings allows us to present to you in the clearest manner possible exactly what you are buying. 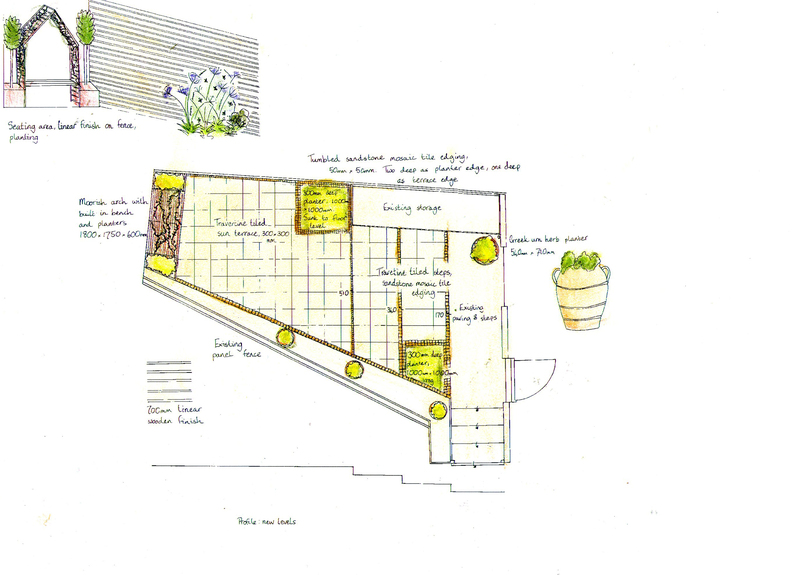 Here we can discuss all aspects of the project and start making plans for the next stage, building the garden. At this point you will also receive a breakdown of building costs for the garden. Design development: included in the cost of the design is the chance for you to make any revisions you require. The plants are what brings a garden to life. Natural planting is important in our work, and all plantings will provide wildlife habitats and fit with the garden and its surroundings. We provide plants from specialist nurseries with wide ranges and knowledge of plant care. Planting is our passion and brings the bare bones of the design to life. We work with experienced, professional gardeners, landscapers and builders to give you the highest standards of materials and working standards. We aim to use locally sourced, environmentally sustainable materials wherever possible. The project is overseen by the designer from start to finish, ensuring that the design approved by you is what ends up on the ground. We offer a maintenance service to ensure that the garden stays the way you envisaged it. This can take the form of weekly or seasonal visits or a recommended maintenance schedule for yourself or your gardener to follow.